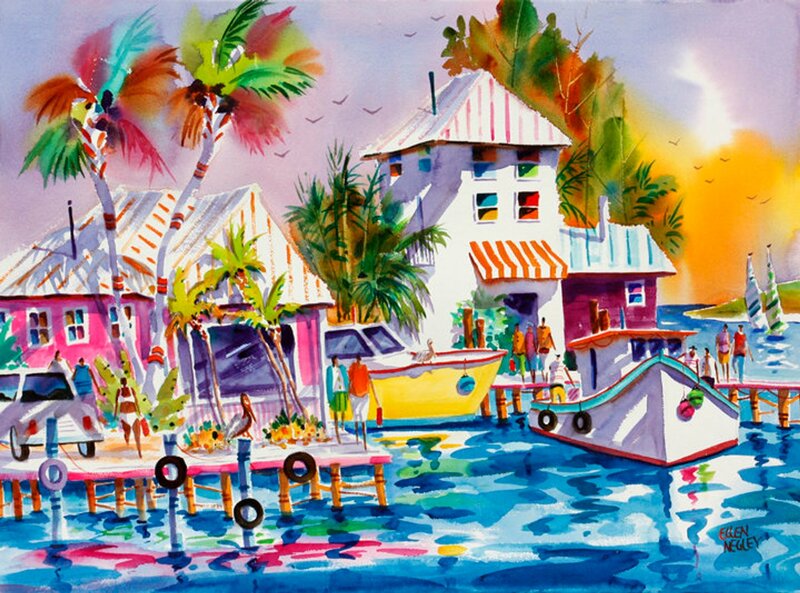 "PIER PLEASURE" is a tropical seascape with people hustling and bustling about on the dock. This is my favorite kind of subject to paint....boats, cars, palm trees, people. I just love all the stuff going on and the chance to explore all kinds of crazy colors...especially in the sky. I'm starting to realize that you can use the strangest colors in a sky and it still works. Even lime green in the sky doesn't look out of place. It just adds to the tropical feel. The light in Florida is a watercolor painter's dream. I could just stare at the colors of palm trees all day!